Thanks to the NYTimes, we know a little more today about the doings of the Koch brothers — the secretive billionaires who are using the Citizens United ruling to spend unprecedented amounts of money to affect U.S. politics and policy. A major theme appears to be advancing their corporate interests by discrediting government, which attempts to regulate the fossil-fuel businesses that the Kochs profit from. Leaders of the effort say it has great appeal to the businessmen and businesswomen who finance the operation and who believe that excess regulation and taxation are harming their enterprises and threatening the future of the country. The Kochs, with billions in holdings in energy, transportation and manufacturing, have a significant interest in seeing that future government regulation is limited. It occurs to me that there are countries where those very industries — energy, transportation and manufacturing — are encouraged and liberated from regulation. A paramount example would be China, which has achieved tremendous growth rates by unleashing those sectors. But what China and the Kochs do not want to talk about are the social costs that de-regulation imposes on society. 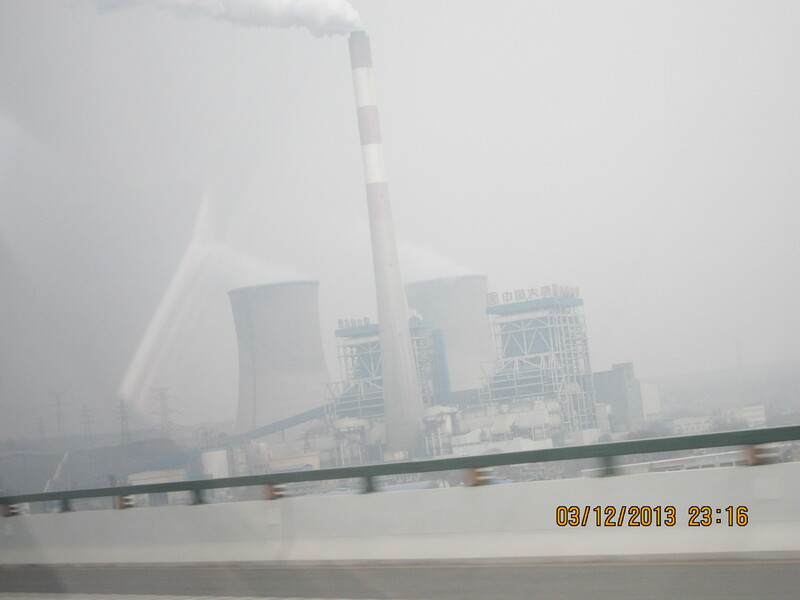 Here is a photo I took last year in Xian — a large city in China’s industrial heartland. Bear in mind, this was not taken on a cloudy or rainy day. It was just a normal day in China, with air so thick you could not read a cease-and-desist order through it. A reminder: Spending money ≠ speaking. To Messrs. Koch, I ask: can we keep our (relatively) clean skies, please?